Over the past few years, football has got pretty big in India and its almost everyday that you will see a person sporting their football clubs from world over. So for all you football fanatics, we’ve got some great news! 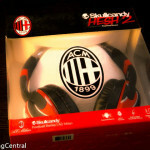 Skullcandy has come out with a new Skullcandy FC series which features football clubs from around the world–Club Atlético Boca Juniors (Argentina), AC Milan (Italy), Chelsea FC (England), Olympique de Marseille (France) and Club Atlético River Plate (Argentina).When stripped of the football colours and logos, this headset is practically a Skullcandy Hesh 2. 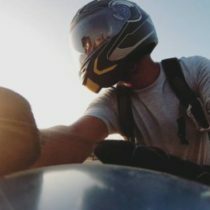 The FC series has been launched by Brandeyes Distributors – India Distributor and Marketing Partner for Skullcandy in India. The Skullcandy FC series is available at a price range of 1699-5699 INR on the website intersection.in and their retail stores/kiosks across India. 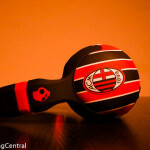 The red and black stripes headsets that we’ve got here belong to Italian giants A.C Milan. 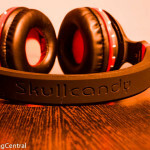 As always, Skullcandy have done a good job in terms of looks. They have neatly integrated the clubs colours and logos. 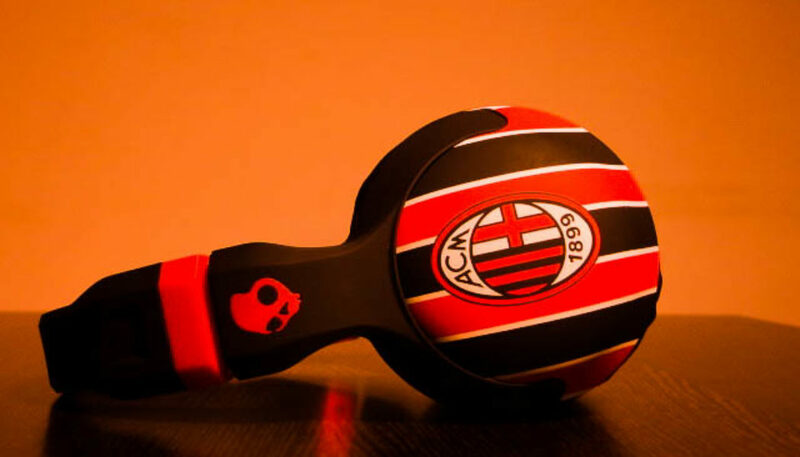 A pretty good lookin’ pair of headphones which does get a good amount of attention for those who just wanna walk around with it and at the same time even satisfies a “proper” football fan’s passion with its authenticity and quality. The integration of the logos and the team colours are something they, as expected, have done a brilliant job with. Even if you’re not a football fan, its looks a pretty good design on its own. And they do a bunch of other clubs that they do these headsets for, so again, an assortment of colours and clubs to choose from. And in the end, it’s something that is up to each individual, it’s something you’d either like or really dislike. 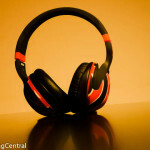 However, the headset itself is built of a glossy plastic sort of material with a slightly more durable rubberised coating on the headband which like almost all other headphones, is adjustable. The Hesh 2 features a new aspect called ‘Skullcandy Superior Sound’ which are found in their new range of headphones and this is something we’ve got to commend. The focus of the brand was to improve the clarity of vocals and its respective range, and after putting these headphones on, it became quite evident that they have lived up to their promises. 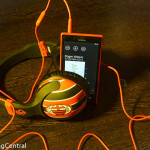 It does to some extent cancel the outside sound and provides quite a clear and crisp sound. Even though there is a decent amount of bass, it’s not something musicians would entirely appreciate. But for your everyday dose of music, this more than sufficiently does the job. These headphones are really light but seem to be quite sturdy. 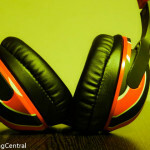 We’re sure headphones can handle being thrown around and being stuffed into bags in a hurry. The circular design of the pads will always be a nuisance to some, while it may feel like heaven for others. I happen to be a part of the latter, maybe because I have small ears, but yeah. These things are quite comfortable and cover my ears perfectly, also they are like a good way to cover my ears in the cold. However, during the sweltering Indian summers I can’t imagine how I’ll be able to sport them . As mentioned before, the adjustable headband can cater to those who have big heads. And the cable too is interchangeable and attached on one side which minimizes chances of tangled wires. So as long as you don’t have ears like ‘Jumbo’, you should have a pretty pleasant music listening experience. Skullcandy have really done a good job updating the Hesh, not just with the designs, but if you look under the hood you will notice that they can produce some pretty good sounding headphones, which can be seen while listening to heavy vocal pieces, we suggest Freddie Mercury. As we said before, this all has come at a price as the bass is a bit low. So for guys who like blasting loud DJ music, this probably isn’t going to be a product you’re gonna like. But all said it is decent bass and certainly worth a try and you’ll certainly enjoy your favorite games and tracks using these headsets. 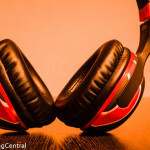 In the end, a pretty solid pair of headphones, which can be used for bragging rights for those certain football fans, and even for those who just want to kick back and listen to their favorite tunes. 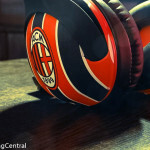 This Skullcandy FC Series is for the audiophile in you and is definitely a pair we’d recommend you get. 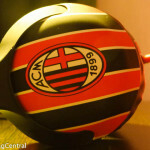 For gamers you can enjoy a game of Fifa with these awesome headsets as they give you a supreme sound experience.